I’m sorry I haven’t been sharing resources for a while, but I’ve been very busy lately. This is a listening activity based on the video ‘ART/ARCHITECTURE – Andrea Palladio’ by The School of Life. I suggest that you read the vocabulary list before watching the video. If you want to test your listening skills, try the fill in the gaps exercise below the video, you can also download a printable pdf version. • Located: Something or someone that is located in a specified place is in or at that place. Ex. Our target is located somewhere on the second level. • Stonemason: a person whose job is cutting and preparing stone for buildings. • Stonecutter/ stone carver: a person who cuts or carves stone. • A handful (of somebody/something): a small number of people or things. Ex. We’ve got a handful of professional soldiers like myself. • Setback: an unanticipated or sudden check in progress; a change from better to worse. Ex. There has been a slight setback in our plans. • To emerge: to appear by coming out of something or out from behind something. Ex. A mole emerged from a hole in the ground. • Virtue: a good moral quality in a person, or the general quality of being morally good. Ex. Patience is a virtue. • Dignity: calm, serious, and controlled behaviour that makes people respect you. Ex. Try to maintain your dignity, no matter what they call you. • To line up: to form a line; to put into a proper and systematic order. Ex. They will all have to line up behind you. • Unworthy: lacking merit or value. Ex. This Tosk is unworthy of such a noble description. • Barn: a large building on a farm where animals, crops, or machines are kept. • Stable: a building where horses or farm animals are kept. • To disguise: to change the usual appearance, sound, taste, etc., of (someone or something) so that people will not recognize that person or thing. Ex. And I’ve configured the shields to disguise our visual profile. • Utilitarian: designed for use rather than beauty. Ex. Their furniture was very plain and utilitarian. • To compensate: to provide something good as a balance against something bad or undesirable. Ex. Nothing will ever compensate for his lost childhood. • Collected: calm and in control of your emotions. Ex. Even in a life-threatening situation, the captain of the ship was collected. • Poised: showing very calm and controlled behavior. Ex. Try to be more poised and confident. • Reliably: in a way that you can trust to be accurate. Ex. Moreover, following this method would require significant adjustments which cannot be reliably quantified. • Distinguished: characterized by excellence or distinction; eminent. Ex. You’re a government major, inspired by your distinguished aunt. • Cement: a fine grey powder made of a mixture of calcined limestone and clay, used with water and sand to make mortar, or with water, sand, and aggregate, to make concrete. • Harmonious: having a pleasant tune or harmony. Ex. It will become a harmonious eco-friendly space. • Resonated: to continue to have a powerful effect or value. Ex. Her speech resonated with voters. • Underlying: used to identify the idea, cause, problem, etc., that forms the basis of something. Ex. Insomnia may represent an underlying physical or psychiatric disorder. • Advocate: a person who upholds or defends a cause; supporter. Ex. The European Parliament has always been an advocate of inland navigation. 1. Andrea Palladio was born at the end of November in _______ in Padua. 2. He was an apprentice ______________ and later stone carver. 3. Over the next 40 years of his working life, Palladio designed 40 or so villas, a couple of town houses and a ______________ of churches. 4. For most of his career he had a mix of professional successes and ______________. 5. Palladio thought we should build in order to ______________ good state of mind in ourselves and others. 6. All the elements in a room are centered, balanced, ______________. 7. He only uses simple geometrical ______________. Generally the walls are ______________ and there is little furniture. 8. Palladio was ______________ with making sure that every element for building fitted perfectly with every other. 9. One of the ambitions of Palladio’s architecture was to give greater ______________ to parts of life that had been ______________ regarded as unworthy. 10. Rather than being hidden and set at a distance these ______________ buildings are presented as ______________ and important. 11. He wasn’t disguising the ______________ reality of the farm, rather he was demonstrating its ______________ dignity. 12. We need serene ______________ and confident buildings precisely because we’re not reliably like that. 13. Ideally, architecture ______________ our better selves, the ideal building is like the ideal person. 14. There’s a practical guide to digging ______________ and how to judge the quality of cement and the reliable ways of constructing ______________ and laying floors. 15. The fancy surrounds are not the ______________ thing. Without them the window opening will still look ______________. 16. He went on to provide a wide ______________ of rules for making buildings ______________. 17. Palladio saw himself as a ______________, he was simply following a set of rules which others could follow too. 18. He was working against the idea that architecture ______________ a special genius. 19. Buildings are ‘palladium’ when they are devoted to ______________, harmony, and dignity on the basis of rules which can and should be wildly reused. 20. It’s then, they display the same ______________ ambition of which Palladio is a central advocate and ______________. Video made by In a Nutshell, a Munich-based YouTube channel, and design studio. 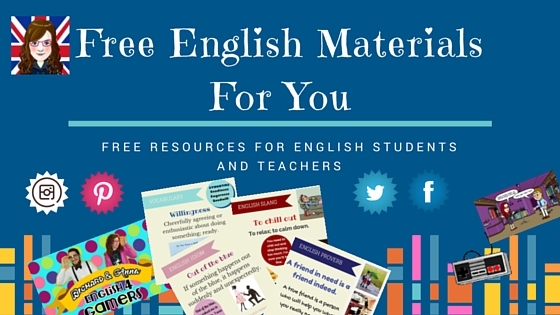 In my opinion, this is a very informative channel, great for English students and teachers. This is why I suggest that you check it out: In a Nutshell. The video I picked for today’s lesson is about nuclear energy and it’s the first of a trilogy. It won’t take you long to watch it since it lasts about 5 minutes. As always, you should read the vocabulary list before watching the video. After that, you can test your listening comprehension answering some questions. Before watching the video, I suggest that you ask your students what do they know about Nuclear Energy and what do they think are the pros and cons of it. Are they against or for nuclear energy? Can they justify their answer? Ask them to write down their reasons and if you have enough time, made a mind map with all the pros and cons. Frustrating: making you feel annoyed or less confident because you cannot achieve what you want. Ex. It’s frustrating when you’re not on the same page. Get/come to grips with something: to start to deal with a problem, situation, or job that you have to do. Ex. We need to get to grips with our different world views. Spin-off: something useful that results from work done to produce something else. Ex. The World Summit on the Information Society produced valuable results; it also had a spin-off, a focusing effect. On your feet: in a good position or condition. Ex. Experts say the economy should be back on its feet any year now. Hangover: a letdown, as after a period of excitement. Ex. The students hadn’t recovered from their summer break hangover yet and did terribly on their first test. To stick with something: to continue to do or use something, and not change it. Ex. If you’ve found something that makes you happy, you should stick with it. To skyrocket: to increase quickly to a very high level or amount. Ex. Housing prices have skyrocketed in recent months. Dazzling: very attractive or exciting. Ex. The actor has had a dazzling career. Pace: the speed at which something happens. Ex. Since the elections of 1998, the pace of reform has been impressive. Underdog: in a competition, the person or team considered to be the weakest and the least likely to win. Ex. It was a surprise to everyone when the underdog won the match. 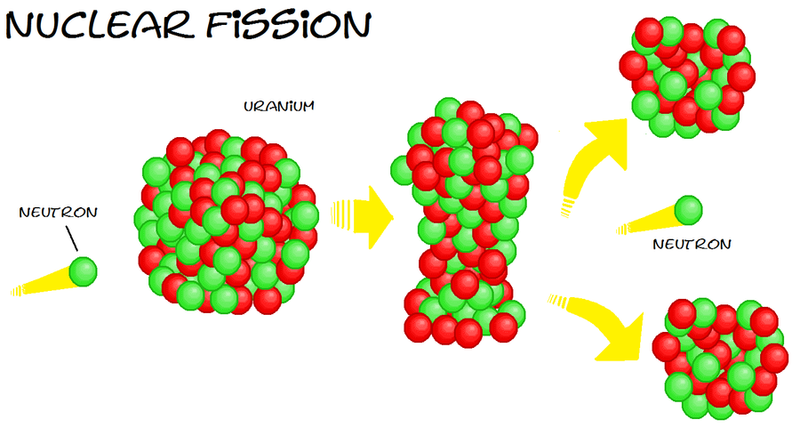 Nuclear fission: a process in which the nucleus of a heavy atom is split apart. On the brink of: extremely close to. Ex. Eagleton is on the brink of an epic financial disaster. Turbine: an engine that has a part with blades that are caused to spin by pressure from water, steam, or air. To threaten: to be likely to harm or destroy something. Ex. Difficulties experienced by an individual institution may affect other banks in a way which could threaten the banking system as a whole. Drawn-out: continuing for or taking a long time. Ex. The network doesn’t want a long, drawn-out trial. 1. What did private companies think about nuclear power? 2. When did nuclear power’s success finally come? 3. What were the advantages of the light water reactor? 4. What does a water reactor do? 5. Is the water reactor the safest one? 6. What happened in 1979? 7. When did the Chernobyl catastrophe take place? 8. What’s the situation today?